A Chinese bus driver struck by a 2.5 kg piece of metal that came crashing through his windshield tragically died of his injuries on Friday. Before losing consciousness, he was able heroically to guide his vehicle and his passengers to safety. 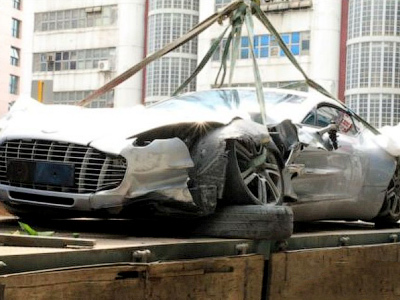 ­On May 29th, Wu Bin’s bus was traveling down the highway at approximately 96 kilometers per hour in the Eastern Chinese province of Jiangsu when a 90 centimeter piece of metal crashed through the windshield and directly into Wu’s abdomen and arm. Police are analyzing the metal debris, but say it was most likely from a truck traveling in the opposite direction. Wu managed to bring the bus to a slow halt, switch on the hazard lights, notify the passengers not to exit the bus, and asked them to call the police. "He turned on the hazard warning lights after the bus stopped, pulled the handbrake and advised passengers not to run around as the bus was still on a highway," Chen Yibo, a colleague said. Upon arriving at the hospital, doctors found that the impact had shattered four of Wu’s ribs, injured his lung, and severely ruptured his liver, leaving them amazed that he was able to guide his 24 passengers to safety at all. Liver surgeon Fang Zheng told Chinadaily.com that Wu must have been in serious pain as he guided his bus to safety. "His whole liver was seriously damaged. In such a circumstance it would be very painful. I'm touched that he could do that." Wu was so calm in fact that many of the passengers did not even realize anything was wrong. “We heard an almighty crash but thought it might be an accident involving other vehicles. Our bus pulled over gently before Wu turned around toward us, looking pale and sweating. He opened the door, told us to be careful and then went silent," Said Han Weichun, a passenger seated at the back of the bus, speaking to Chinadaily.com. 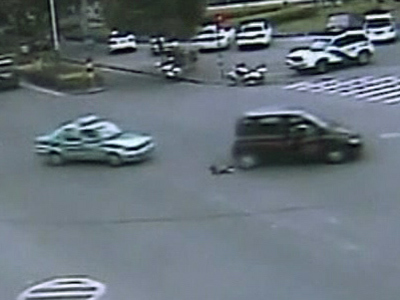 Dramatic footage broadcast on state television shows the moment of impact, as well as Wu’s heroic efforts to protect his passengers. 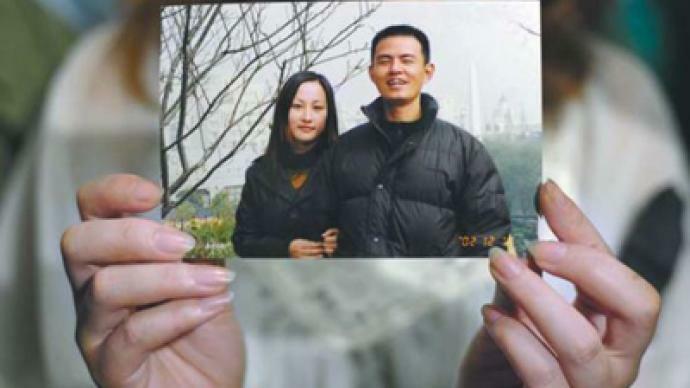 Wu, 48, leaves behind his wife of 18 years Wang Lizhen. The couple had been planning on taking a vacation together in the upcoming days. He is being hailed as a hero throughout China.